According to PTA, bill shock is a common problem in the local cellular mobile segment. A subscriber, who has no track of his package while using services, ends up with huge bills as the basic rate is automatically applied after the package limit is ended. 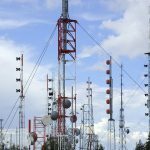 Pakistan Telecommunication Authority (PTA) is set to bind Cellular Mobile Operators (CMOs) to implement a standard system. According to the new regulation, mobile users shall be notified upon reaching package credit limit and application of default rate to save cellular mobile users from bill shock. In case of international roaming, the subscriber will pay different charges for making and receiving calls. Roaming rates for data services offered by respective CMOs are exorbitantly high. The roamers are generally not aware of these excessive charges. As it’s observed that CMOs in Pakistan are not informing their users. It may be about remaining credit balance in rupees, minutes, SMS or end of day usage SMS as per international best practices and saving cellular mobile users from experiencing any bill shocks. PTA firmly believes that international roaming of data service should be stopped by the CMOs. The CMOs should inform all subscribers that they are encouraged using a local connection to their destination while traveling. This is much cheaper than the international roaming rates. PTA intends to standardize the practice of informing its users about reaching the balance for subscribed service. PTA has prepared “consultation paper on the consultation on avoiding bill shock to cellular mobile users through notification. Its done for reaching package credit limit and application of default rate. A standard system should be implemented by all CMOs that’s what PTA desires.They shall inform the remaining credit in Rupees or the remaining balance of messages those might be voice messages, SMS and all data usage.